Gastronomers' association kicks off 40th anniversary bash with dinner presented by Le Cordon Bleu chefs. It was a night of revelry and feasting. That best describes The Chaîn in Malaysia Casual Amical Dinner Held in celebration of its 40th anniversary. 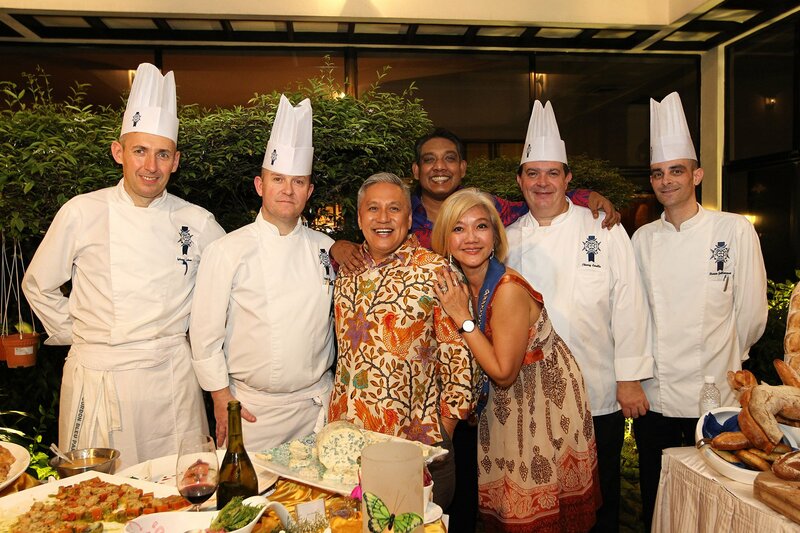 An intimate affair for 52 specially invited guests, the dinner was held at the residence of Bailli Delegue Datuk Dr J.S. Sambhi, presented by Sunway Le Cordon Bleu chefs. 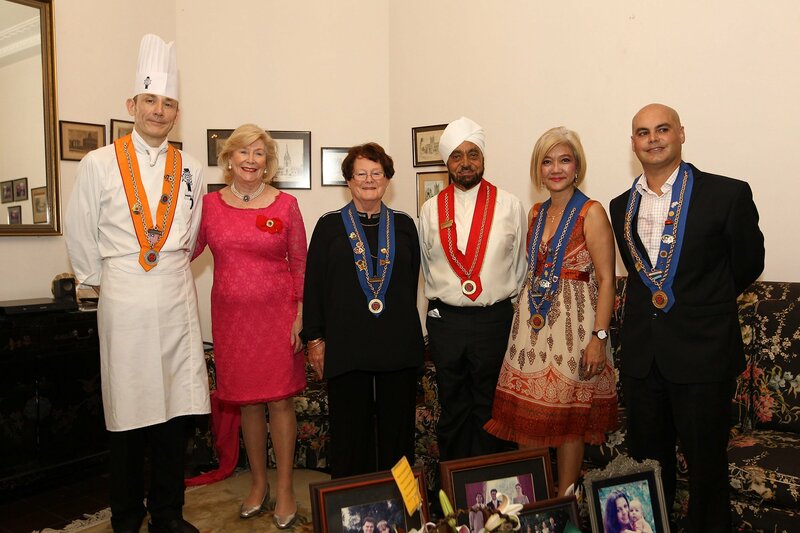 Paris Chaine des Rottiseurs international vice-president Marie Jones was the guest of honour who gave a brief summary of La Chaine's history dating back to 1600 where it all began in France, together with French ambassador Frederic Laplanche and Malaysian celebrity chef, Chef Wan. The goal and aspiration of the La Chaine des Rottiseurs is to group gastronomes and professionals all over the world who enjoy and appreciate good food. 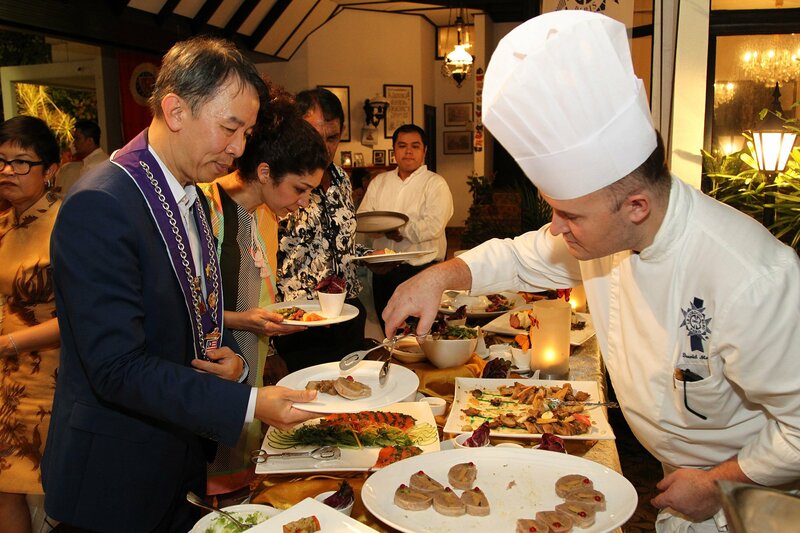 Decked in their Chaine ribbons for the event, Chaine members and guests were feted with a sumptuous buffet spread featuring tradional French cuisine prepared by technical director chef Rodolphe Onno and his team.